Q: Why is it important for me to floss regularly? 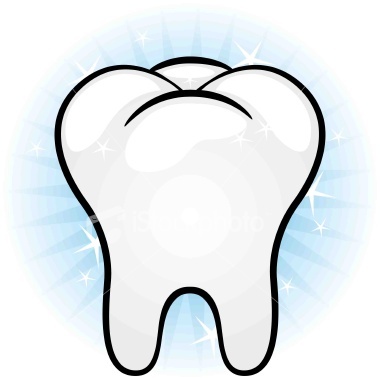 A: Brushing our teeth removes food particles, plaque, and bacteria from all tooth surfaces, except between the teeth. Unfortunately, our toothbrush can’t reach these areas that are highly susceptible to decay and periodontal (gum) disease. Daily flossing is the best way to clean between the teeth and under the gum line. Flossing not only helps clean these spaces, it disrupts plaque colonies from building up, preventing damage to the gums, teeth and bone. Q: How often should I have a dental exam? A: You should have your teeth checked and cleaned at least twice a year, though your dentist or dental hygienist may recommend more frequent visits. Regular dental exams and cleaning visits are essential in preventing dental problems and maintaining the health of your teeth and gums. At these visits, your teeth are cleaned and checked for cavities. A: Bad breath (halitosis) can be an unpleasant and embarrassing condition. Many of us may not realize that we have bad breath, but everyone has it from time to time. Especially in the morning. There are various reasons one may have bad breath. In healthy people, the major reason is due to microbial deposits on the tongue. Especially the back of the tongue. Some studies have shown that simply brushing the tongue reduced bad breath by as much as 70 percent. Q: How long will my dental implants last? A: Dental implants have been used successfully for many decades and we know that, with careful maintenance, they will function for many years. In studies, 95% of implants last for at least 5 years but most are likely to have a much longer life. To maximize the lifespan of your implant, you are strongly advised to avoid smoking. It is also extremely important to continue with a very thorough oral hygiene program at home and to attend regular recall visits at your dentist for careful inspection of your implant, teeth and gums. This will allow you to have your implant and teeth professionally cleaned and enable any problems to be dealt with promptly before they threaten the stability of your implant. With very good oral hygiene, regular recall appointments and avoidance of smoking, your dental implant has every chance of lasting for many years. Q: I have a terrible fear of going to the dentist yet I know I need to. What should I do? A: If you fear going to the dentist, you are not alone. Between 9% and 15% of Americans state they avoid going to the dentist because of anxiety or fear. The first thing you should do is talk with your dentist. In fact, if your dentist doesn’t take your fear seriously, find another dentist. The key to coping with dental anxiety is to discuss your fears with your dentist. Once your dentist knows what your fears are, he or she will be better able to work with you to determine the best ways to make you less anxious and more comfortable. A: Advances in dentistry over the years have lead to the low radiation levels emitted by today’s X-rays. Some of the improvements are new digital X-ray machines that limit the radiation beam to the small area being X-rayed, higher speed X-ray films that require shorter exposure time compared with older film speeds to get the same results, and the use of film holders that keep the film in place in the mouth (which prevents the film from slipping and the need for repeat X-rays and additional radiation exposure).